After last month’s teaser, Japanese publisher Square Enix has finally released a full trailer for their upcoming game Shadow of the Tomb Raider. This is the eagerly awaited sequel to 2015’s Rise of the Tomb Raider game, which surely is one of the best entries in the long-running franchise. 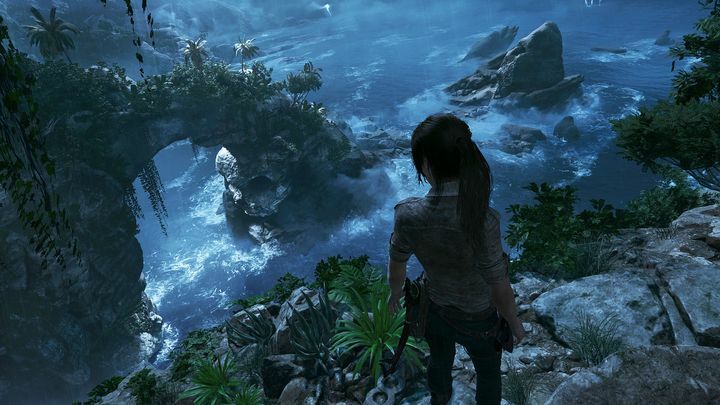 The first thing to notice when looking at the trailer below is that the series has left the Pacific islands of the 2013 Tomb Raider reboot and icy Siberian peaks of Rise of the Tomb Raider behind, and that players will instead be wading through jungles in this upcoming Tomb Raider entry. South American jungles actually, as Lara will be on a mission to stop a Mayan apocalypse and the people behind it in Shadow of the Tomb Raider. It also looks like this new Tomb Raider game will feature jungle combat against armed soldiers and plenty of climbing with Lara’s trusty pickaxe, and it’s also likely that developers Eidos Montreal and Crystal Dynamics won’t deliver a game that’s dramatically different to 2015’s Rise of the Tomb Raider, which thankfully was pretty good in itself. It is interesting too that Crystal Dynamics (the team behind the previous two Tomb Raider games) won’t not be the main dev here, as Eidos Montreal appears to be handling the brunt of development work here. This is not a bad thing in itself as the French studio are a talented bunch (they were behind greats like Deus Ex: Human Revolution) but also produced the odd turkey like 2014’s Thief’s reboot, and it sure will be interesting to see how they handle a major Tomb Raider game. Also, and like in the earlier two entries, actress Camilla Luddington will be doing motion capture work for the game, which is a good thing in my book as her portrayal of Lara in the earlier games sure was great. It’s still early to judge though, and it remains to be seen whether Shadow of the Tomb Raider will rank amongst the series best when it’s released this fall, or turn out to be a disappointing entry like Tomb Raider: The Angel of Darkness and others were in the past. Here’s hoping it’s the former, and that Lara Croft gets to shine again in another video game when this hits shelves this fall. Note: Shadow of the Tomb Raider will be released on September 14, 2018. Available on PS4, Xbox One and PC. Next: Another Doom movie is likely coming our way – will it be better than the last? Another Doom movie is likely coming our way – will it be better than the last?